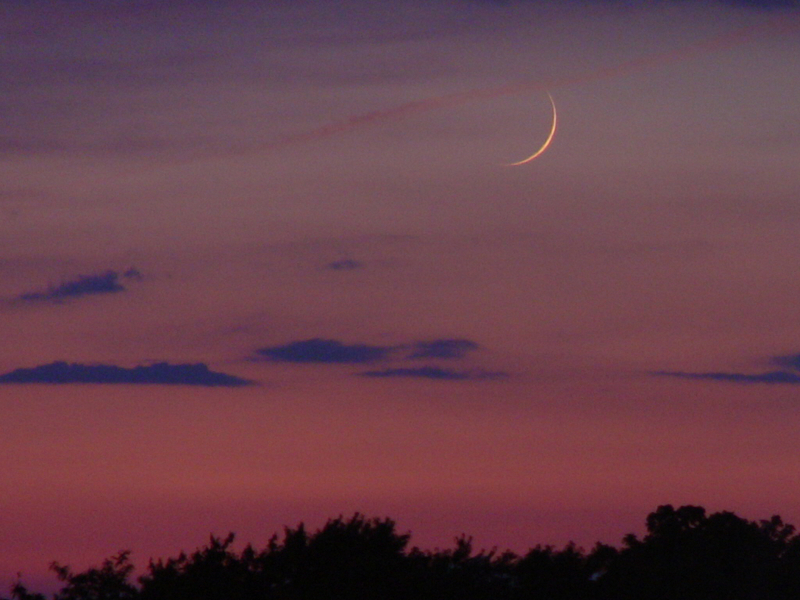 It’s nearly time for my monthly New Moon spotting challenge. Sharp-eyed North Americans with clear skies might be able to spot the one-day-old Moon after sunset on Friday, July 13. It will be seen well to the lower right of Mercury and Venus. Others, especially those further east, should have better luck during the following evening. Photos and descriptions of the young crescent Moon this month would be welcome additions to this thread. Below is a photo that I shot from Arlington Heights, Illinois of the Moon 2007 JUL 15 at 21:10 CDT while the Moon was aged 1.6 days. Here's how the young Moon will appear in the western sky this evening from Chicagoland at 20 minutes after sunset.